LIVER LIFETM improves your body's ability to filter toxins and drain acidic waste. LIVER LIFETM opens up the detox pathways in your liver and includes kidney support. Best used prior to and along with NDF (Natural Detox Factors) for optimum deep detox. NEW!! We are happy to get you other BioRay products! NOW at 10% off! WRITE US for more info! WOW. When I first used a whole bottle, dosing as directed, I had skin issues, which I never have. Now I take LiverLife for about a week every other month and something always appears on my skin - either a stray pimple, rough spots, something - so I know it's working to keep me clean. Good to use before NDF (Natural Detox Factors) for a heavy metal detox. Please Note: Any effective chemical detox protocol can interfere with the effectiveness of certain pharmaceutical drugs, even removing them from your system, since they are a chemical. To minimize this activity, consult your health practitioner in scheduling your meds. You should take Liver Life™ first thing in the morning, allow 2 urinations, and then take your meds to minimize elimination of the drug. What is a Dysfunctional Liver? The liver is responsible for over 500 chemical functions and affects virtually every physiological process in the body. The liver is not working efficiently when it is overloaded with toxins and it becomes sluggish. A sluggish liver causes our body's entire system to become imbalanced. 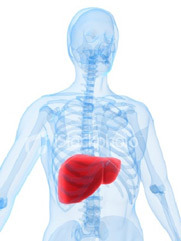 The liver is a complex organ that plays a key role in most metabolic processes, especially detoxification. Liver cells are comprised of sophisticated mechanisms, designed to break down the toxic substances that constantly bombard the body. Many of the toxic chemicals the liver must detoxify come from our environment: the content of our bowels, the food we eat, the water we drink, and the air we breathe. Every drug, artificial chemical, pesticide and hormone is broken down (metabolized) by enzyme pathways inside liver cells. Reacting to many chemicals including cleaning products, petrol, paint, perfumes, bleaches, etc. Why is this important to my health? The simplest and most effective way to cleanse the blood, take the load off the immune system, improve digestion, and facilitate detox is by optimizing liver and kidney function. The liver bears the brunt of the chemical age, accumulating toxins that weaken the immune system. When the liver becomes sluggish and overburdened, unfiltered toxins end up circulating throughout the body and are deposited in fatty tissue. When the alkaline reserve is stable, and acids and toxins being eliminated daily, the body is more balanced. Trying to detox with a congested liver is similar to trying to drive home during traffic hour. 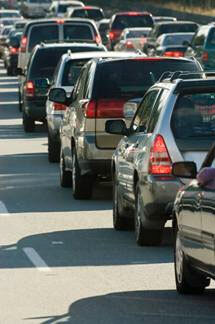 The more you try to push through a traffic jam, the more backed up it will get and longer it will take. But when you are strategic and wait until the traffic has cleared, you will be able to drive home as fast as the speed limit will allow. The same thing is true when you try to remove toxins with a congested liver. If you try to push detoxifying products through a congested liver, you will see aggravations in the body. When you decongest the liver, toxins leave the body much more efficiently during detox. Decongest the liver, then follow with NDF: Natural Detox Factors for heavy metal and chemical detoxifiction. Liver Life™ is an adaptogen with powerful antioxidant and restorative properties. Liver Life™ supports and nourishes the liver and kidneys during detox. Liver Life™ is a liquid dietary supplement which provides a concentrate source of Beta 1,3 glucans, powerful immune system modulators known to assist with regulating Th1 and Th2 immune states. Liver Life™ helps to drain acidic waste, restore healthy pH, normalize liver enzymes, decongest the liver and kidneys, balance Phase I & II detoxification pathways and rejuvenates the liver. Draining acids contributes to the restoration of the alkaline reserve and facilitates detoxification. Scientific studies and lab reports show the ingredients in Liver Life™ significantly lower the immune response to foods that irritate the body. One set of results from an IgG ELISA Food Panel, a biochemical test used to screen for food irritation, showed a 48% average decrease in irritation in response for 28 different foods. Nine of those foods ceased to produce an negative response after three months on Liver Life™. Further testing showed that overall liver function improved by over 50% in just fifteen days of the subjects taking an increased dose of Liver Life. For neuro compromised children, the symptoms of a food irritation may be cognitive or behavioral rather than common high histamine complaints like congestion, wheezing, or itching. 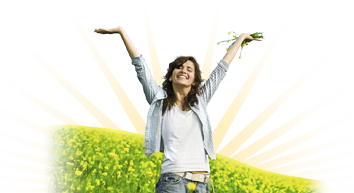 By reducing the body's irritation, Liver Life™ assists in resolving behavioral symptoms. Ingredients such as maitake mushrooms, milk thistle and red root in Liver Life work to eliminate toxins by opening phase I and phase II detox pathways in the liver, promoting toxins to leave the body vs. stagnate there. It is vitally important that our liver is healthy and maintains its ability to function through the onslaught of manufactured chemicals and pesticides that are in our environment today. In TCM, a primary concept is the idea of "root and branch". Symptoms are considered to be the branches of a shen disturbance. The root is an imbalance of the fundamental substances (Chi, blood, Yin, Yang, Jing, Shen), or of the major organ systems (Lungs, Heart, Spleen, Liver, Kidneys). If these organs are out of balance, they will not be able to house the spirit properly, and will create a shen disturbance. In TCM, a primary concept is the idea of "root and branch". Symptoms are considered to be the branches of a shen disturbance. The root is an imbalance of the fundamental substances (Chi, blood, Yin, Yang, Jing, Shen), or of the major organ systems (Lungs, Heart, Spleen, Liver, Kidneys). If these organs are out of balance, they will not be able to house the spirit properly, and will create a shen disturbance. Yin and Yang are opposites that are interdependent; together they form a whole. A balance between the two must be maintained to achieve optimal health. When symptoms are present, Yin and Yang are out of balance. Tonic herbs help the body maintain and regulate this balance naturally. NDF and Liver Life have been clinically formulated by an oriental medical doctor, Dr. Tim Ray, OMD. Dr. Ray discovered and developed proprietary manufacturing methods that truly make NDF and Liver Life stand apart from other supplement processing. These herbal formulas are based on the time proven systems of Traditional Chinese Medicine and are well known for their potent effects of balancing the body. The herbs used are known through centuries of human consumption to be safe and to have healing properties. The body uses these substances as a food, taking what it needs and filtering out the rest. NDF and Liver Life utilize the balance of nature and science to create safe, effective and organic herbal supplements that support health, vitality and the environment. These products are crafted using only organic or wildcrafted ingredients that are sustainably harvested. They are made in small, personally-attended batches using unique, proprietary manufacturing processes. NOTE: This product has not been evaluated by the FDA. It is not intended to prevent, cure, treat or diagnose disease. This lab test was developed to assess efficiency of cellular energy prodution, metabolic toxicity issues, detoxification functions, functional vitamin, mineral and amino acid deficiencies and neurotransmitter metabolism. In addition, this analysis provides important information about gut flora imbalances by detecting elevated levels o fmetabolic waste products from pathogenic microbes. The OATS test is useful in the diagnosis and monitoring of patients with inborn errors of organic acid metabolism, inborn errors of amino acid metabolism, urea cycle defects and defects of the mitochondrial respiratory chain. Limitations: Organic acid analysis may fail to detect certain disorders that are characterized by minimal or intermittent metabolite excretion. A 1-year old girl, presented with no receptive language or communication, no playing with toys, no pointing, no babble, no back and forth interactions, bowels were impacted requiring a daily enema, elevated liver enzymes an skin irritations. Three months after introducing Liver Life another OAT lab is performed. Post OAT lab results show Live Life significantly improved gut imbalances, the Drebs cycle, fatty acid oxidation, glutathione levels and nutrient absorption. The increase in ascorbic indicates high doses of nutritional supplements can be lowered. Assimilating of nutrients from food and supplements has become more efficient. See results in table. increase absorption of vitamins and normalize excessive fatty acid oxidation. The powerful combination of herbal ingredients contained in Liver Life has been shown in clinical lab results to greatly reduce high histamine responses. The liver bears the brunt of the chemical age, accumulating toxins that weaken the immune system. Laboratory tests show that Liver Life improves the immune response to food. Results from an IgG ELISA Comprehensive Food Panel, a biochemical test used to screen for food irritations, shows a 48% average decrease in aggravated histamine response to 28 different foods. Nine of those foods ceased to produce any negative response after three months on Liver Life. Further testing shows overall liver function improvement by more than 50% in just fifteen days as the dose of Liver Life was increased. Liver Life Adults Intake: Start with 13 drops in water or juice. Increase intake by 2-3 drops per day to optimal dose, twice a day. Children and Sensitive Individuals: Start with 1 drop in water or juice. Increase intake by 1 drop every 3 days as tolerated to optimal dose, twice a day. Ingredients: Certified Organic or Wildcrafted, Whole, Pure and Predigested: Agaricus Blazei mushroom, Red Root, Milk thistle seeds, Olive Leaf, Turkey Tail mushroom, Reishi mushroom, Maitake mushroom, deionized water and gluten-free grain alcohol (20% by volume). Good Liver Cleanse:My daughter and I have been through cleanses/detox before. My husband never has. He has heavy metals he needs to clean from his body--but his liver is overtaxed. So I bought it for him to help his liver before he begins detoxing. I also decided my daughter and I could really use some liver cleansing again as well, so we started taking it as well. Out of the three of us, he has noticed the biggest changes/differences since taking the product. Q: Why do I need to start so slow? Starting with a low dose and ramping up as tolerated gently supports liver structure and function, so it can detoxify as it is intended to do - naturally. Tolerating the dose is a key factor when utilizing all detoxifying products. The body heals best when we feel good. If your dosage of Liver Life® is too high excess acids may not be able to drain efficiently resulting in a mild aggravation. If you experience any aggravations, lower the dose by half. If an aggravation persists, supplement 2-5 capsules of activated charcoal. When all symptoms subside, reintroduce Liver Life at a decreased dose. Q: How long should Liver Life® be taken at optimal dose? Optimal dose of Liver Life® is recommended for a minimum of 3 months. At that time reevaluating to see if a lower maintenance dose can be used is appropriate. Q. What is a maintenance dose of Liver Life®? A maintenance dose is a lower daily dose or top dose 3-4 days a week. Q: What positive changes should I expect? Improvements in digestion, sleep, energy, ability to focus and concentrate, healthy hormone balance, happy moods, skin tone, and support of assimilation of nutrients and tolerance of food and the environment have been noted. Q: Do I have to use NDF® for Liver Life® to work? No. Liver Life® is effective as a single remedy to support the body's natural detoxification abilities. To increase the excretion of toxic heavy metals and chemicals, adding in NDF® is recommended. Q: What other things can be done to help balance pH? Many foods assist in restoring healthy pH ranges in the body. Fresh squeezed lemon juice is one of the most effective alkaline forming foods. For additional alkaline forming foods you can click here. Q: Can Liver Life® be taken at the same time as other supplements? Yes. In general remedies taken alone have more impact, taken with food or just before eating buffers their effect slightly. Allowing 15 minutes before eating or 45 minutes after eating achieves stronger impact. Q: Do I need to test my first morning urine pH daily? We recommend checking your pH daily for the first week of using Liver Life®. Once pH is stabilized, testing once every 2 weeks is advised. Click here for Urine + Saliva pH Test Sticks. Q: What is the optimal dose of Liver Life®? Q: How long is the shelf life? Liver Life® has a shelf life of 5 years. Q: What products should I start my child with and why? The foundation to any successful detoxification protocol is making sure the bowels are moving daily, liver function is optimized, and acidic waste is draining and leaving the body efficiently. For children who are having at least one bowel movement a day, starting with Liver Life® is appropriate. For children who have sluggish bowels, the Children's Liver Restorative Kit is recommended to get them moving first. This kit includes oxypowder, 4oz bottle of Liver Life®, pH stix, activated charcoal and a step by step guide on how to introduce the products. Contact us for more information. Q: What is Liver Life® and what does it do? Liver Life® is a liver restorative formula which opens up the detox pathways, drains acidic waste, restores healthy pH, normalizes high liver enzymes, balances Phase I & II detox pathways and supports the body's natural detoxification abilities. It's considered a food for the liver - giving it the nutrients it needs so it can perform its job. Q: What testing has been done showing Liver Life® improves liver structure, function and balances the system in children? Pre/post organic acid profiles show Liver Life® improves nutrient absorption, fatty acid metabolism, glutathione levels, and decreases fungal metabolites. Liver enzymes testing shows it normalizes high liver enzymes. Pre/post IgG Comprehensive Food Panels show it significantly decreases food sensitivities within 3 months time. Q: What type of progress may I notice with my child when using Liver Life®? With Liver Life® parents report improvements in sensory issues, self stimulatory behaviors, social interactions, food tolerances, digestion, focus, performance at school, skin issues, bowel movements and tolerance for detox. Q: Do I give my child a full dose of Liver Life® to start? No. We recommend beginning with a low dose of 1 drop, 2x a day in water (with fresh squeezed lemon is best) or juice ramping up by 1 drop every 1-3 days as tolerated. Q: What is the top recommended dose of Liver Life® for children? To avoid aggravations, the top recommended dose should not be given as the starting dose of Liver Life®. To insure your child gets the most out of Liver Life®, start slow and ramp the dose up as tolerated. If your child shows aggravations, decrease the dose, increase water and lemon, make sure their bowels move daily and give activated charcoal, if needed. Q: Can I give Liver Life® in combination with my child's other supplements? Yes. Restoring healthy liver function enables other supplements to work more efficiently and decreases the chance for unwanted side effects from traditional medicine. Liver Life® is most efficient when given on an empty stomach 15-30 minutes before other supplements or food. If this is an issue, it can be given at the same time. Q: Is my child supposed to feel worse on Liver Life® before he feels better? Parents should notice only improvements in their children. If at any time your child is feeling unwell, more irritable, perhaps having an increase in self stimulatory behaviors, the dose of Liver Life® is too high. Lowering the dose, making sure their bowels are continuing to move daily, sipping water or juice with fresh squeezed lemons and supplementing with activated charcoal is recommended. Q: How does liver function impact the immune system and the GI tract in my child? Research shows 70% of our immune system in is our digestive tract. When the gut is out of balance and leaky gut is present, undigested peptides from the foods we eat, and toxins we are exposed to, end up in the blood stream. This creates extra work for the liver as the liver is the only organ that can purify the blood. And the blood is our life source. When the liver becomes overburdened and unable to filter efficiently, these substances are left in the bloodstream triggering an immune response. This contributes to food and environmental sensitivities as well as an increase in symptoms. Q: Why is restoring pH so important for my child? An acidic environment in the body robs it of oxygen and enables harmful pathogens to thrive. If kids are too acidic, they can not assimilate nutrients efficiently from the foods they eat or the supplements they take. The body is then forced to pull essential minerals like calcium, magnesium, potassium and sodium from the organs and bones to neutralize the acids. When the body pH is off balance enzyme functions begin to suffer, nutrients become deficient, and the body's ability to deal with environmental stressors begins to decline. Q: How does heavy metal & chemical toxicity contribute to an acidic body PH level? Heavy metals and chemicals are acidifying in the body; they disrupt neurotransmitters, create nutrient imbalances and impair detox pathways, which makes us less efficient at getting rid of acidic/toxic waste. All toxins turn into acidic waste in the body. Q: Why do you recommend testing the first morning urine pH? The first morning urine pH tells us if the body is removing acidic waste efficiently. The liver does most of its work between 1 - 3 am, so the majority of acids will be excreted in the first urination upon waking. Our first morning urine pH should ideally be acidic at 5.5-6.2. When the first morning urine pH is alkaline (over 6.2) this indicates the body is 'holding onto' acidic waste, which is often due to liver and/or kidney congestion. 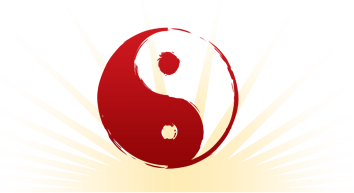 Q: How does the first morning urine pH impact detox with my child? Once the first morning urine pH is in range, products that increase the excretion of acidic waste (antimicrobials, heavy metal & chemical detoxifiers) will be better tolerated making detox more efficient. This means balance is restored and progress is seen more quickly. Q: How do I test the first urine morning pH when my child isn't potty trained? To test first morning urine pH, urinate on the pH strip or in a container and dip the strip in until thoroughly saturated. For children who are not yet potty trained, putting a cotton ball in the child's diaper right before bed and taking it out first thing in the morning is recommended. Squeeze urine from the cotton ball onto the pH strip or push the pH strip into the cotton ball until saturated. Wait 15 seconds and compare results.Click here for Urine pH Test Sticks. Q: Is Liver Life® safe for children? Liver Life® is safe and beneficial for adults, children and pets. Q: How long does Liver Life® last? This will depend on the current dose and weight of child. For children starting out, a 2oz bottle of Liver Life™ will last approximately 2 months and a 4oz bottle approximately 4 months. At 15 drops, 2x a day, a 2oz bottle lasts about 50 days; a 4oz, 100 days. At 1 dropper, 2x a day, a 2oz bottle lasts about 30 days; a 4oz, 60 days. At 2 droppers, 2x a day, a 2oz bottle lasts about 15 days; a 4oz 30 days. If your child's dose of Liver Life® is too high, excess acids may not be able to drain efficiently which may result in mild aggravations. If child feels unwell lower the dose by half; if aggravation persists give 1-3 doses of activated charcoal to absorb excess acids, then continue Liver Life® protocol at reduced dose. Many foods can assist in restoring pH. Fresh squeezed lemon juice is one of the most effective alkaline forming foods. Download our FREE Color-Coded pH Food Chart and our pH Bottled Water Chart here. You can also supplement with sodium, potassium, calcium and magnesium. Please consult with your practitioner for the appropriate dosage. Mineral waters are an easy way to support a healthy pH. Q: Do I need to test urine pH daily? We recommend testing your child's first morning urine pH about once a week to make sure you are at the proper dose of Liver Life™. Once pH is stabilized, testing once every 2 weeks is advised. 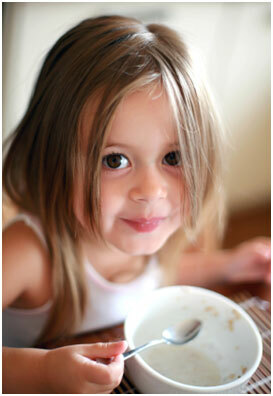 Q: If pH is in range, can my child still benefit from Liver Life®? Yes. In addition to restoring pH, Liver Life® supports the kidneys and liver. More eye contact, social skills, ability to focus, better moods, and increase in conversations have been reported from doctors and parents continuing Liver Life™ after a healthy pH balance is restored. Q: Can Liver Life® and NDF® be given at the same time? Yes, they can. BioRay products complement one another while addressing different systems and issues in the body. However, introducing one product at a time and waiting 2 weeks between including each product is recommended. Contact us for products to balance the intestinal and gut flora.